Thank you to Dr. Naheed Dosani and the excellent team at William Osler Health Centre for inspiring this post. What three words describe the essence of palliative care for you? When I asked my friends, family, and colleagues, the most common answers are: pain management, personal and spiritual support, and end of life planning. Those are all key components. 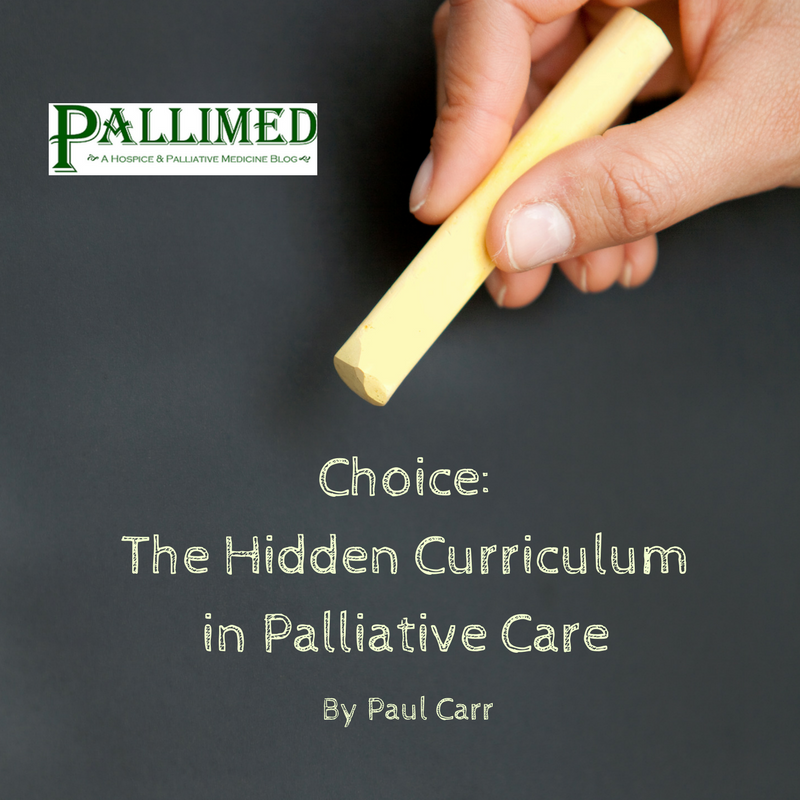 But what quickly became apparent to me during my palliative care elective is that excellent palliative care providers embrace the role of enabling patients and families to make well-informed choices. I have taken a long and untraditional route to arrive in the field of medicine. I’m over 40 and spent 16 years teaching elementary school before starting the MD program. As a teacher, I heard and read a great deal about the Hidden Curriculum: things that are not taught explicitly but are ingrained institutionally and learned through experience. Examples include behavioural protocols such as “Do not challenge your preceptors” even though you are told to question authority, and subtle reinforcement of gender roles in institutions that outwardly advocate for individuality. 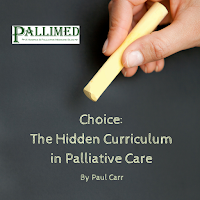 And I argue that patient choice is part of the Hidden Curriculum in palliative care. It is an approach that improves the quality of life of patients and their families facing the problems associated with life-threatening illness, through the prevention and relief of suffering by means of early identification and impeccable assessment and treatment of pain and other problems, physical, psychosocial and spiritual. Following this definition is a series of bullet point items which explain what palliative care is or does, but without any reference to patient values, wishes, or choice. This is the essential mistake we all make in medicine. We guess at what will make our patients happiest, and then recommend the treatment most likely to attain that outcome. The danger is that if we don’t know what our patients want, we may end up providing them with longevity when they are seeking contentment and the company of family (or vice versa). An episode of the excellent Balado Critique podcast from Universitié de Sherbrooke reviewed the EXCEL and NOBLE trials, which compare bypass surgery to stents for treatment of heart disease. The experimental endpoints included all-cause mortality, repeat revascularization, stroke, and MI, which are all likely meaningful to some extent for a large majority of patients. But I was struck by the fact that these measurements may miss the point for many patients.They are inadequate for formulating a care plan, because they do not explore the goals, values, and wishes of each patient. We love ‘hard numbers’. Government health agencies, private insurance companies and hospital executive boards love ‘em. They’re super for projecting on smart boards and backdrops during meetings and fundraisers. But what about the older patient who feels she has completed what she considers a good, satisfying life? What are meaningful primary outcomes for her? I searched the original text of the EXCEL trial for the words ‘pain,’ ‘satisfaction [with treatment or quality of life]’ and ‘happiness’ and I received a grand total of zero hits. There have been attempts to quantify patient experience in research. As early as the late 1960’s, the concepts of Quality Adjusted Life Years (QALY) and Disability-Adjusted Life Years (DALY) experienced varying levels of acceptance (often by economists and accountants). More recently, research in dermatology has used specific scales such as Skindex and SCI which are based on experiential subjective self-reporting from patients. 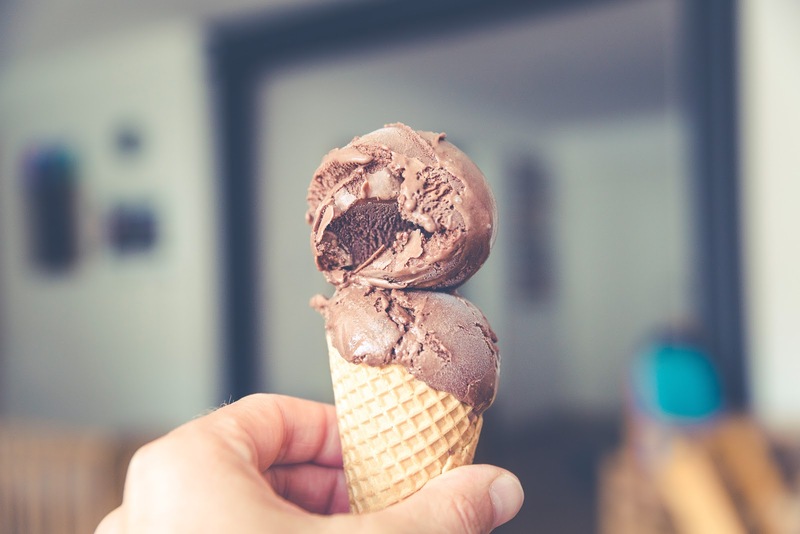 The problem is that trying to quantify subjective experience is like trying to create a metric for favourite colour, or flavour of ice cream. The European Consortium in Healthcare Outcomes and Cost-Benefit Research performed an extensive study and concluded that “the hypotheses that found the QALY approach do not correspond to behaviour patterns observed in real populations.” This result was entirely foreseeable because we can no more predict what patients want than we can guess that their favorite colour is blue or their favorite ice cream flavor is rocky-road. Consent law focuses on the ability to understand illness and treatment options, as well as the consequences of treatment selection or refusal. It sounds strange, but patients often are not aware of their own goals and values because they have not specifically paused to think about them or take inventory. I remember participating in a conversation with a gravely ill patient who asked initially for all available life prolonging options. My preceptor did not challenge the patient or recommend a course of treatment. She simply inquired, “Help me understand your choice. What is most important to you in your life right now, and what would your ideal end of life look like?” The patient talked about grandkids, spending time or even dying at home, and not wanting to be laid up in bed attached to machines. I don’t think my preceptor said more than 10 words in the whole conversation, but the patient had come up with some outstanding goals of care. Over the next couple days, the patient and the entire palliative team came up with a plan of care to meet those goals to the greatest extent possible. Patient choice must emerge from the the Hidden Curriculum and take its rightful place as the basic starting point of all good medicine. On the last day of my palliative medicine rotation, a young woman came in with a cake for the nursing staff on the inpatient ward. She explained that one year ago, her mother had died on the ward. At that time, the young woman was too sad but now she wanted to let the staff know they had provided her mother great care. She didn’t mention a single common research metric, but she smiled with gratitude and joy in remembering her mother.